OPTIMUS Robotic SawJet with industry-leading sawing table coverage. 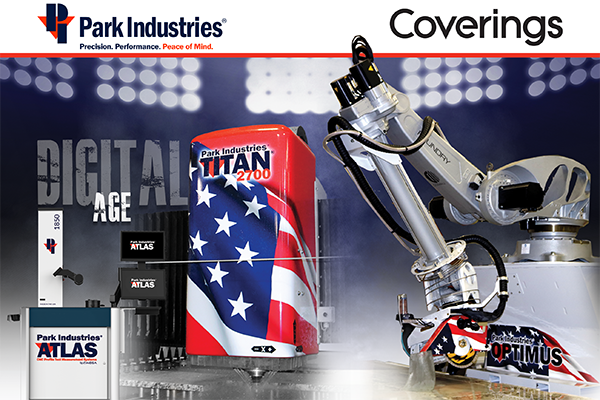 TITAN CNC Router with monoblock, unitized machine design. 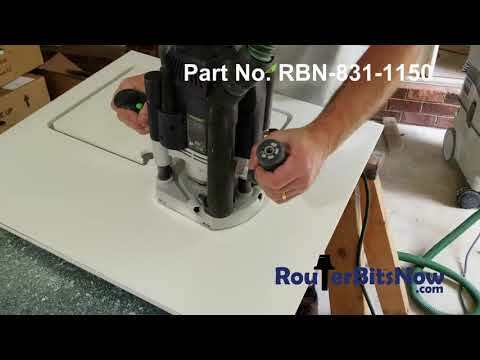 ATLAS Tool Measurement System for increasing CNC Router run-time. 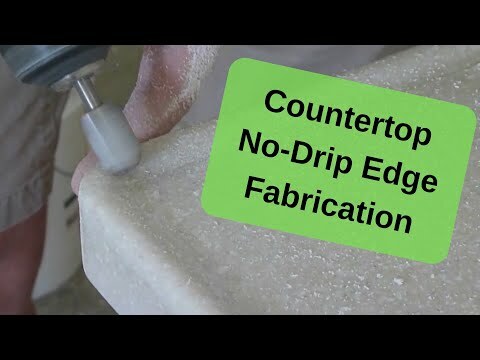 FASTBACK II Edge Polisher for increasing flat edge production - up to 150 lineal ft. per hour. 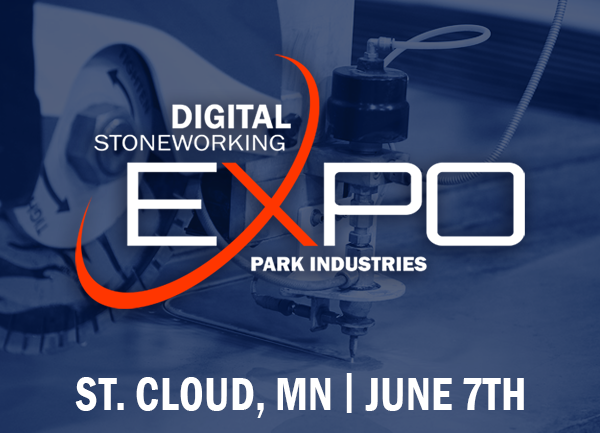 Attend June 7th's Digital Stoneworking Expo in St. 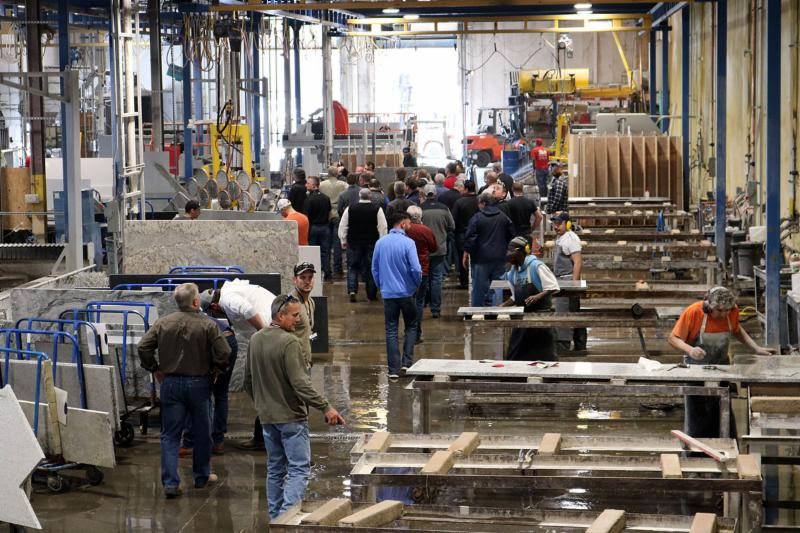 Cloud, MN featuring a local fabricator bus tour with digital shop tours.
" If a fabricator is looking to improve their business, this is the event I would recommend. We were able to walk away from the DSE with knowledge to propel our business in the right direction. " 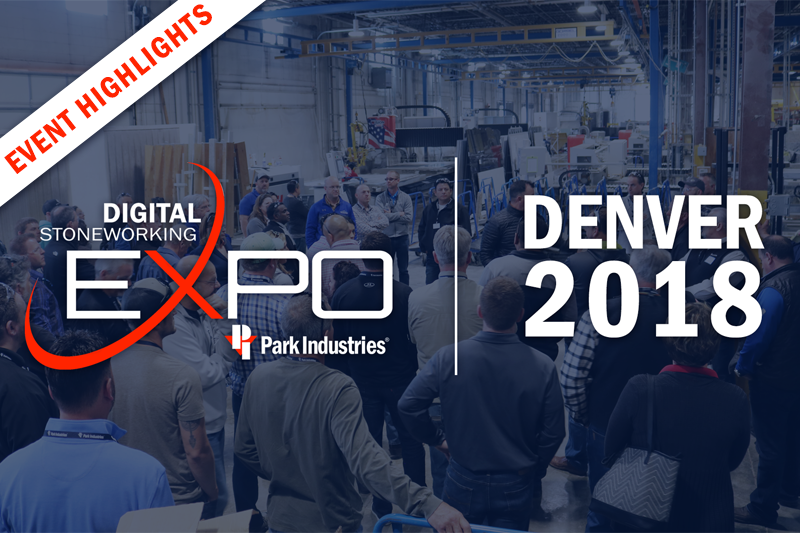 Nearly 100 Fabricators came together for April's DSE in Denver resulting in high energy discussion and an overwhelmingly positive event. Walk through the highlights of the day with pictures! 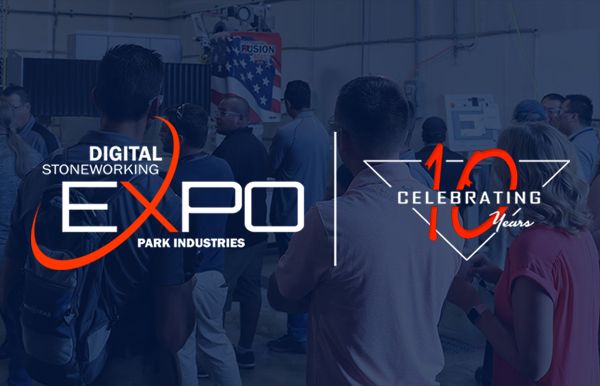 Get a feel for what attendees experience - view machines, stonework, and digital stone shops that were all toured.See a glimpse of the invaluable information gained at these rewarding events. Gain the knowledge to retool and reignite the fire that fuels your business's future success. Experience a DSE!